#Ad Disclosure: This is a sponsored post, for which I have been compensated. There’s something special going on in the Springdale School District, and as my children get older, I’ve started to pay a little more attention to it. I’d watched the recent construction of the new Don Tyson School of Innovation in east Springdale as we’ve traveled to soccer games, but didn’t know much about the school itself until recently. As it turns out, I have a friend whose children, Breana and Tanner, both attend classes there. I caught up with them last week to find out more about the campus and what it offers for their family. 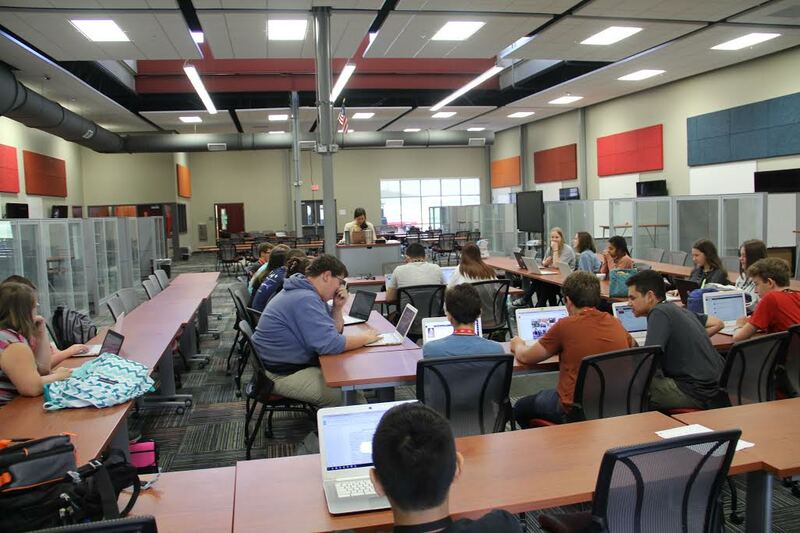 The Don Tyson School of Innovation welcomed its first class in 2014, but opened a brand new campus this past fall. By 2018, it will house a full enrollment of 8th-12th graders. 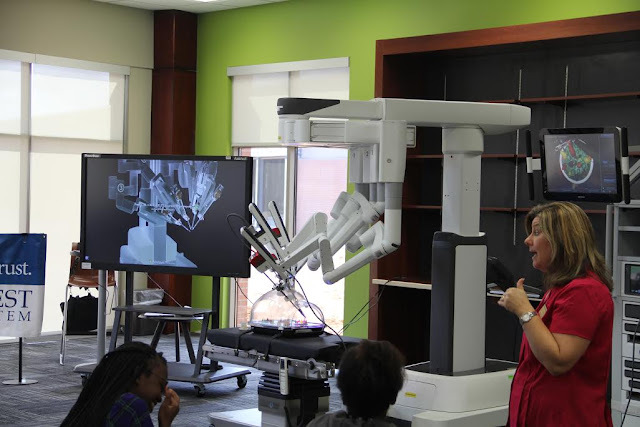 The school offers classes and programs that are project-based and focused on the STEM curriculum (science, technology, engineering and math). Curriculum was developed by teachers and business leaders in order to have the students both college and career ready upon graduation, with students having the opportunity to earn concurrent college credit. Our friends are a busy family with three active children. When the school announced its initial enrollment in 2014, Breana immediately signed herself up for classes. Her mom laughs because she never even saw the forms that were sent home! When younger brother Tanner had the chance, he decided to join his sister at DTSOI. Here are some questions I had for the family. Breana: I like that we have a little more flexibility than traditional school. We have open classroom environments. We also get to travel to the junior high and high school for activities like sports, choir or band. How does your experience compare with the more traditional school setting? Breana: The work is more self-paced here. We have more time when we need it. What are some of the classes that you take? The Don Tyson School of Innovation is open to any 8th-12th grade student living in Arkansas. They offer on-site and online classes, or a combination of both. The school is currently enrolling for next fall. 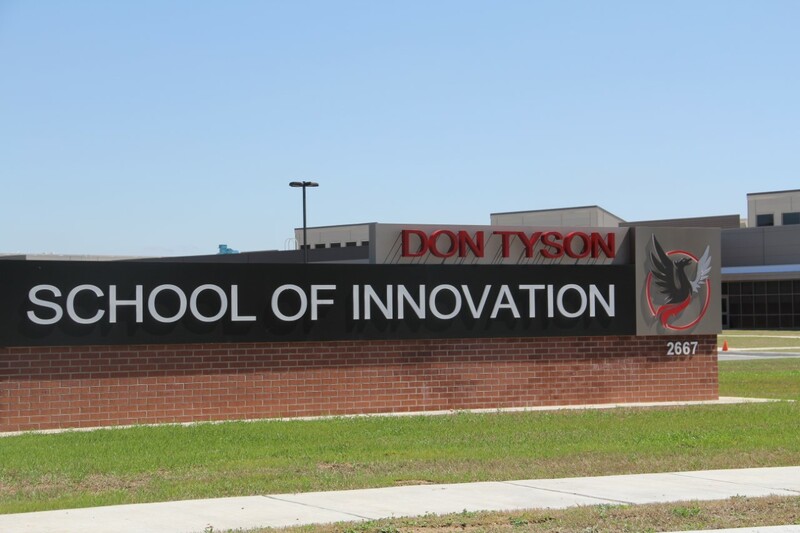 I know that I will be keeping my eye on the Don Tyson School of Innovation as an option for my kids in the future. I especially like that it offers the STEM focus, with fun areas of study like robotics and drone piloting. To find out more about the school, visit their website.